The retirement of humanity’s first commercial supersonic airliner, Concorde, remains a topic of bitter debate. Though Club Concorde, a private group, has announced a major step to return one of the remaining legendary aircraft to the sky. The Concorde is making a comeback. The supersonic commercial aircraft renowned for taking passengers Mach 2 was retired from service in 2003. Though a dedicated private group of enthusiasts, Club Concorde, is in the market to purchase one of the remaining retired airliners, seeking to restore it to operational capacity by 2019. Club Concorde recently announced that it’s mission has come one major step closer to realizing their dream. Club Concorde is a select group of Concorde enthusiasts, comprised mainly of former pilots for the aircraft, it’s flight attendants, and dedicated passengers. In over 30 years of service, the airliner was operated by a small cadre of airline personnel who dedicated their career to servicing the turbo-jet airliner. Club Concorde recently announced it has secured £120 million in private funding to purchase one of the remaining Concordes, and return it to service. Club Concorde’s efforts are but the newest chapter in the tale of an aircraft with a significant yet turbulent history. A technological marvel that struggled to leave the hanger. The Concorde was one of the great technological accomplishments of the 20th century. The original project dates back to the 1950’s, and its development was a joint venture between the governments of the UK and France. Problems with the supersonic jet first arose when the project went terribly over budget. The aircraft also faced another unexpected difficulty, the devastating side effect of creating a sonic boom. The product of grounding breaking technologies are the realities of creating unintended byproducts, for better and worse. With humanity’s first commercial supersonic aircraft, it was the disturbances sonic booms create over populated areas. Once the sonic boom defect was identified, the market for Concorde dwindled. There was no government that would allow the aircraft to travel over land. Consequently, the aircraft was then restricted to flying exclusively over sea routes. As it’s market evaporated overnight, the UK and France were forced to sell the models they produced to British Airways and Air France for a great financial loss. What was originally believed to be the next great aviation trend had became an albatross. Despite the initial difficulties with Concorde taking flight, it finally went into service in 1976 with British Airways and Air France. Once the market value of a trip on supersonic legend was established, the mere 14 aircrafts between the two national carriers accounted for nearly 25% of their annual revenue. The aircraft became famous for its in-flight luxury, and a small dedicated community of passengers and aviation professionals. Its most famous routes were trans-Atlantic, traveling between the American east coast and Western Europe. The famous JFK to Heathrow run. The Concorde’s operational service came to an end after three decades in 2003. The terrorist attacks of September 11th, 2001 caused the passing of many of the airliners dedicated passengers, while also suffering from the overall decline in trans-Atlantic air travel post-9/11. It’s final straw was a tragic crash following a take-off from Charles de Gaulle in Paris in 2003. The small retired fleet of 14 aircraft’s can now be found in museums and public displays world wide. British Airways Concorde on display at the USS Intrepid Museum, New York City, NY. 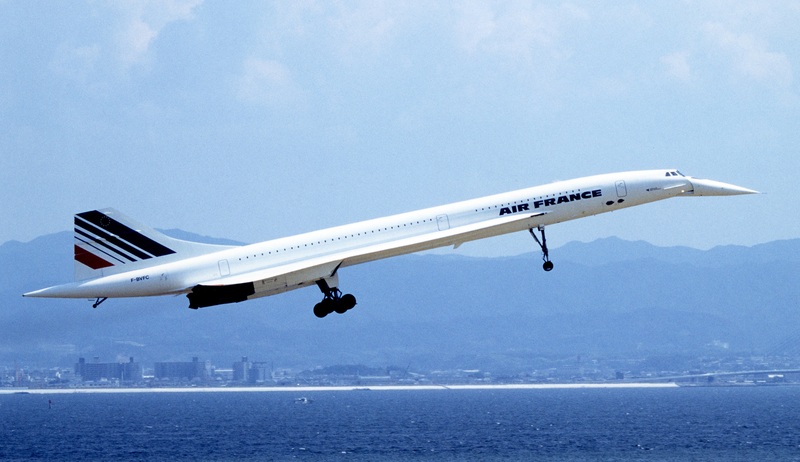 For Club Concorde the renowned aircraft was not a trans-Atlantic novelty, it was a lifestyle. The members of Club Concorde are of the firm belief, based on their professional experience, that every model that exists could still be in use today. There was significant controversy regarding the Concorde’s flight worthiness, with many who still believe it was prematurely retired. Moreover, the supersonic marvel is a symbol of British and French pride. For the UK specifically, it is a symbol of immense accomplishment in the history of the English speaking peoples. Once they have brought their aircraft to service, the organization plans to make it available for educational purposes, flight shows, as well as for charter service. Also Follow Paul on Quartz! Seeing Green: First Public Natural Swimming Pool Opens!